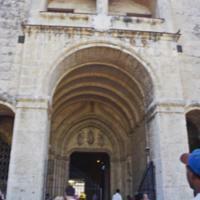 As one of the earliest monumental churches in the New World, Santo Domingo was an experimental work by builders who adapted a Spanish design for this new environment. This deep portico may have been a 17th century addition, added long after the cathedral was completed. Above the north portal was a carved tympanum. It is still visible but much of the sculpture has been removed. Gravette, Andrew. 2000. Architectural Heritage of the Caribbean. Oxford: Signet Books. Palm, Erwin Walter. 1945-46. “Plateresque and Renaissance Monuments of the Island of Hispaniola.” The Journal of the Society of Architectural Historians 5: 1-14. Palm, Erwin Walter. 1974. 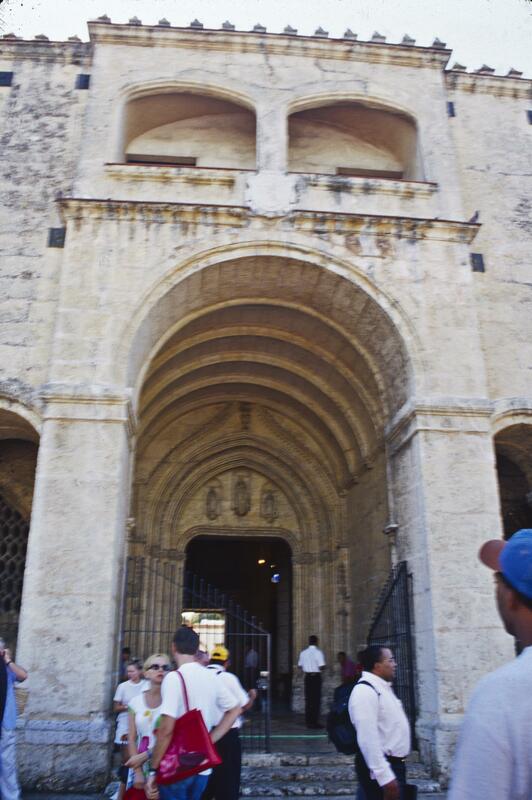 Arquitectura y arte colonial en Santo Domingo. Santo Domingo: Editora de la Universidad Autónoma de Santo Domingo. Palm, Erwin Walter. 1984. Los monumentos arquitectónicos de la Española. 2nd ed. Santo Domingo: Editora de Santo Domingo.